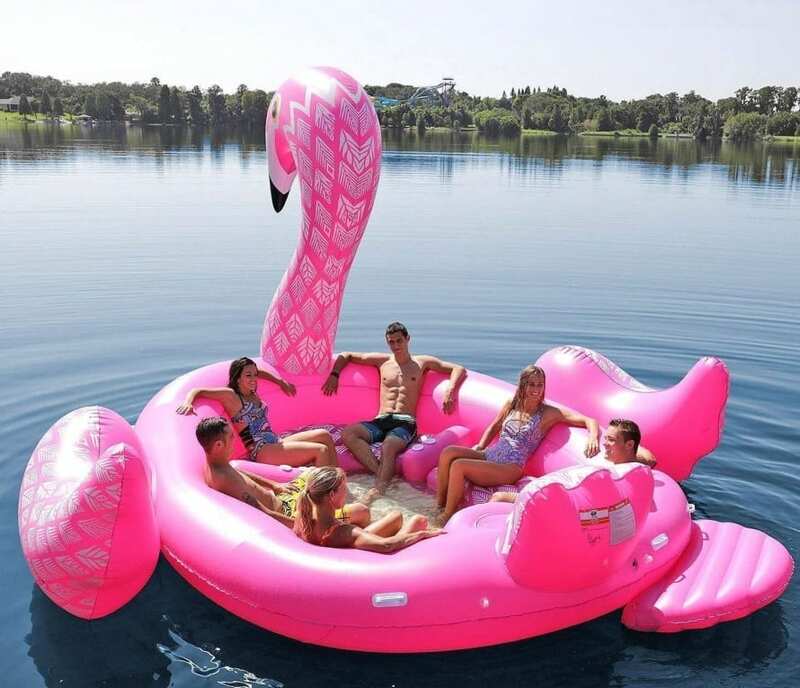 LOUNGE IN STYLE WITH THIS GIANT PARTY BIRD ISLAND FLAMINGO FLOAT- Be the envy of your peers or share an enjoyable day of relaxation with them in this impressive giant pink flamingo float! This inflatable island flamingo float has a vibrant pink color with a beautifully detailed design in white. It comes complete with wings on the side and a cute little tail at the back. FITS UP TO 6 ADULTS COMFORTABLY- Over 10 feet long and 10 feet tall, this giant inflatable flamingo float is spacious enough for up to 6 people and is big enough to be seen from afar. The seats and backrest of this giant inflatable lake float are wide and comfortable giving you a great place to rest before or after you go for a swim. The mesh floor also fills with water so you can keep cool while you relax.